The year was 1920 and a collection of English gentleman and Indian princes gathered at what is now Southgate Cricket Club for a day's play in support of the country's first multi-ethnic cricket club. Established in 1916, Indian Gymkhana had remained nomadic in their early years. In 1917, they played at Lord's, the home of cricket, against an Australian XI but three years later they desired a home of their own. The captains, donned in flannel and most likely a blazer and cap, prepared for the coin toss but the ground's landlord, flanked by seven heavies, had other ideas. Club records say that the competition that day was a charitable one, with the proceeds to act as a deposit for the purchase of the ground. 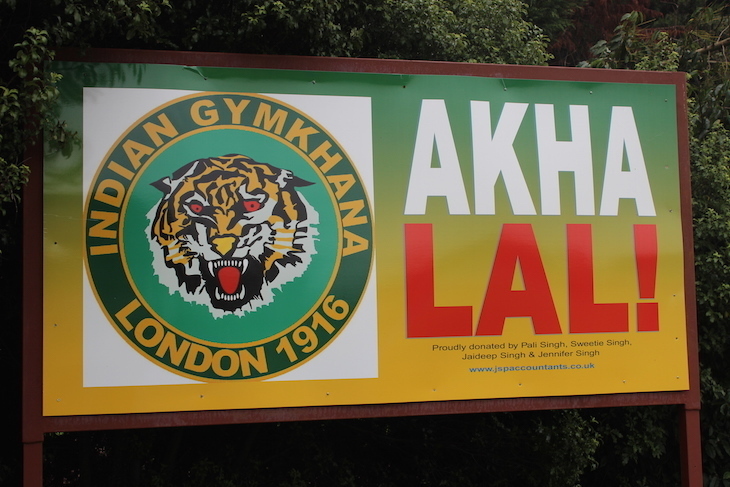 Overlooking the hockey field in large text are the Punjabi words 'Akha Lal', referring to the red eyes of the Bengal Tiger that forms the club logo. "Let us play and we will settle the money problem afterward," appealed MP Bajana, captain for the day and one of the first players of Indian-origin to play in England's elite county championship cricket. "No money, no play," was the landlord's reply. The princes complained to their royal fathers and the loss of face led to outrage among London's Indian elite. It also caught the attention of Lord Hawke, former England captain and ex-president of Lord's owners Marylebone Cricket Club. Hawke stepped up as president of Indian Gymkhana to open the public appeal to raise funds. 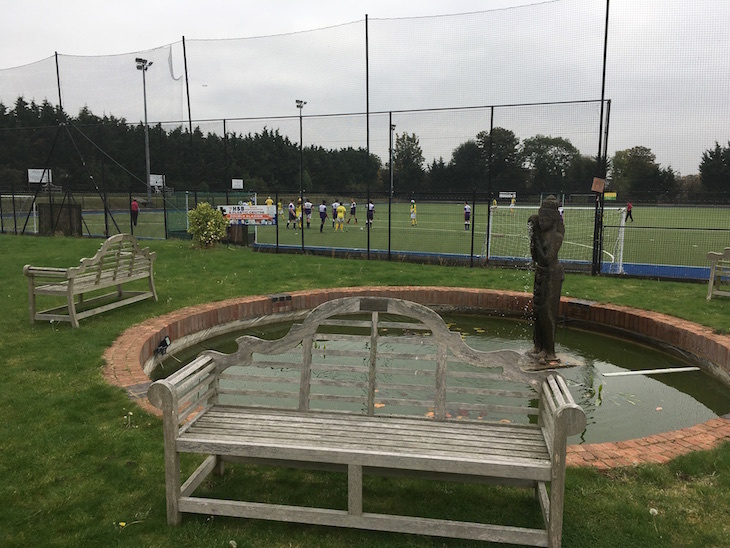 Recognising the opportunities of the Great West Road, the club turned their attention to Osterley Park. The Maharaja of Patiala came forward with the funds necessary to complete the purchase and the club bought up enough ground to play cricket, hockey, football and tennis. The Maharajas of Kapurthala, Jaipur, Jodhpur, Cooch Behar and Indore and the Nizam of Hyderabad became founders and patrons. They were joined by Sir Victor Sassoon of the wealthy Baghdadi Jewish family and founder of the Tata Group, Dorabji Tata. Tata's wife Meherbai became the first female member of the club in 1923, a full 75 years before women were accepted by the MCC. Long before Conservative MP Norman Tebbit proffered his controversial 'cricket test', railing against immigrants who support the countries of their birth rather than England, Iftikhar Ali Khan, the Nawab of Patudi and a captain of the Indian Gymkhana side was proving it nonsense. Touted as a possible captain for India's first-ever test in June 1932, Khan instead debuted for the English side that toured Australia in 1932-33 for the infamous Bodyline series. The Nawab refused to field in support of the controversial bowling tactics that targeted the body of the Australian batsmen. "I see His Highness is a conscientious objector," was the response of English captain Douglas Jardine and the Nawab was dropped for the third test despite having scored a century on debut. He would later three-times captain the Indian side against England and remains the only player to have represented both nations at Test cricket. 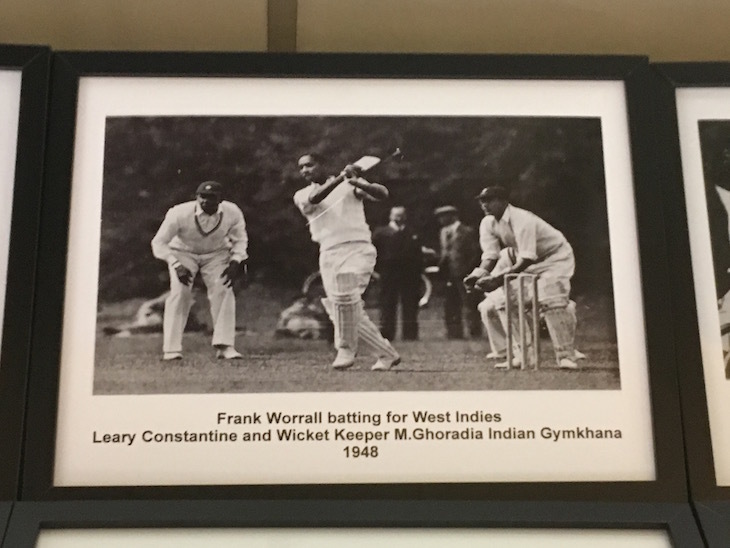 Indian Gymkhana's reputation as London's first and leading multi-ethnic sports club was further enhanced when West Indian cricketer Learie Constantine — crucial in the passing of Britain's 1965 Race Relations Act and the first black person to take a seat in the House of Lords — played for the club. 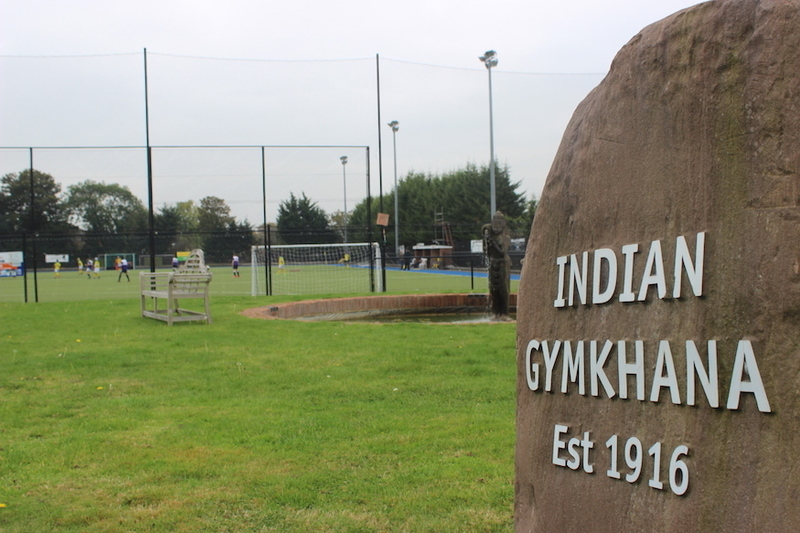 Indian and West Indian Cricket national teams were a regular feature at Indian Gymkhana and until 1986 it was tradition for the Indians to begin their tours of England in Osterley. Cricketers are not the only international stars to feature here. 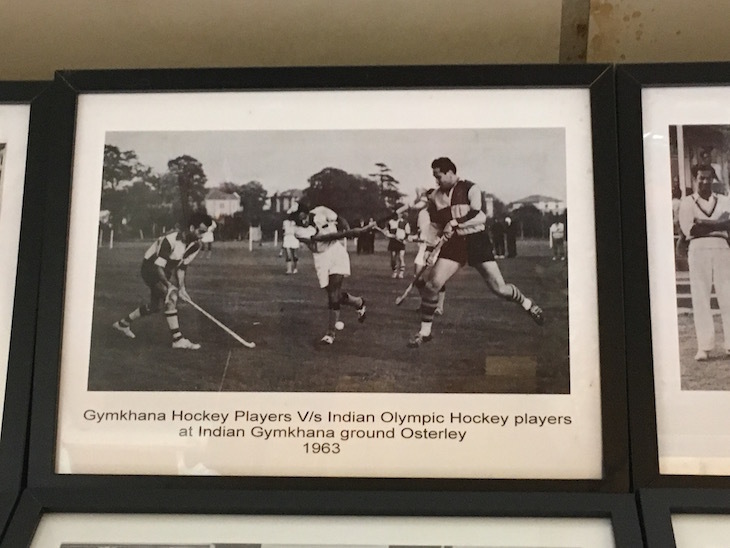 In 1948, the hockey teams of newly independent nations of India and Pakistan trained here for the second London Olympics. A photo of the two teams posing for a joint team picture adorns the club pavilion's wall, alongside images of Lords Hawke and Constantine. The club has also offered hockey players to the national cause, a number have gone on to represent Team GB&NI, including Kulkbir Bhaura who won gold at the 1988 Seoul Olympics. Over 100 years after its founding, Indian Gymkhana may no longer be a home of princely Indians and English lords, but its teams continue to draw more than 500 playing members from across the capital's diverse ethnic make-up.